As the title says "totally devastated" ! Any idea guys to what I have or not done right? do you know your TDS? Did you know what is your nitrate, temperature and TDS? Dont stress man and dont panic. We all have been in this position. Never ever give up, i have gone down to 2 shrimp before and recovered. Now if you can find out the info jc12 and perps have asked. Can you think of when the shrimp started to die? Do you remember anything that was done differently during that time? And bug spray being used near the tank? What did the dead shrimp look like? Take a few pictures of the tank we may be able to see something you missed. When you do your water change how do you add the water back? I just had a thought, I remember a few of them moulting within a few days of getting them. Since I have not seen an exoskeleton, so perhaps they are having troubles moulting. Can they die from this? Yes they can die if they have difficulties molting. Do you add any minerals when you go your water changes? can you add minerals if your TDS already 200+? @Disciple wont it make it to high? So should I add Mineral powder? Ok so if you use RO water your remineralise it using a product like Salty Shrimp. Since your tap water is already 200 tds I would not recommend you use this product. I also use another product called benibachi minerals which are stocked by some of our sponsors which from my understanding add a different set of minerals into the water column which among other things help shrimps with moulting. Boss aquaria also have a product called Mineral powder that does the same thing. It has minimal effects on the tds. I use it once or twice a week as I believe it replenishes certain minerals the shrimp use up. I would be very interested to see pictures of your dead shrimp as it would help. did they just drop off 1 a day or? Was there any discolouration on the shrimp? Follow the intructions and add a bit of mineral powder. So how it goes. im 100% certain you should not be adding quick start and superchlor and prime. the quick start is a bit if a useless product. and prime is a dechlorinator as well as heavy metal detoxifier so you should not use superchlor as well. I've no idea if it would suddenly cause die-offs but it's worth considering that if you have been overdoing the prime and superchlor then the sodium tetrasulfate (or whatever it is) and other additives could be accumulating more and more each time you do a WC. I'm no expert but I am doubtful that you be having so many die-offs in a short period because of moulting issues. Moulting issues will cause gradual casualties.. Unless you are finding dead shrimp that are partially-moulted and died while doing the process then I can't imagine that this would cause so many sudden deaths but again this is just my somewhat noob opinion. Anyway i do know you should just be adding prime and not using those other 2 products. The superchlor is an inferior duplicate and the quickstart isnt useful at all at this stage. i also think disciples question re discolouration is worth considering! you could read jayc's wonderful disease/diagnosis sticky thread in the shrimp health subforum and use a magnifying glass if one dies again (hope not!) and check it out for any illness. I have been at stage where no clues at all why shrimps perished a couple times already - hang on mate. I reckon if one uses RO, most likely all minerals and heavy metals have been adsorbed. Double check the RO water with TDS - you should get 0 reading. I thought both Supachlor and Prime do the same. I just recently purchase Supachlor (Prime too expensive then I alternative to Supachlor) to dechloronite Purigen. My brief understanding this Supachlor is to dechloronise and take up heavy metals - so not really sure if you need both Supachlor and Prime (since both appear have same function) if you use RO? Not trying to be a smart guy - I also quite new in shrimp. I reckon a modest feeding would do and not to let the feed stays in the tank too long. Few days ago I fed them snow flake (first time feed them snow flake) and boom didn't realise it would expand. I had to siphon all leftover after 3 hours feeding - a nightmare. Sometimes overfeed can cause ammonia spike. I reckon good minerals, modest feeding, water change and most important (from many fail experience) shrimps need stable/constant environment. I always like to link shrimp with human in term of breeding - would we want to have offspring in an unfavourable environment such as unstable economic? Can I ask how many litres 10 - 20% is? And how much Prime, Supachlor are you dosing? Overdose of antichlorine can lead to oxygen depletion. One last question ... how old is this tank since you added livestock? 20% water change per week might be too much. Cut it down to 10% a week. Add Prime or Supachlor (one or the other, no need for both) to the tap water and let it age a day before adding it to the tank. You bet. SKF is the best place to be if you need inspiration or motivation for this hobby. I recently introduced some mini pellia and some snails were in it. As soon as I noticed them I tried to remove them with long tweezers . Generally as I crushed them a distinct crack was noticeable however snails from this tank had very soft shells. Does that mean the minerals in the water are not high enough? Can this had caused the shrimps to die off? This is a very good video on the basics if you are new to shrimps. 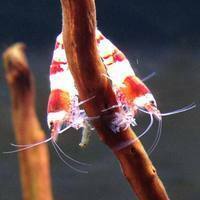 It is called 'How to breed shrimp', not sure why as it is generally everything and a very good and clear video guide?.